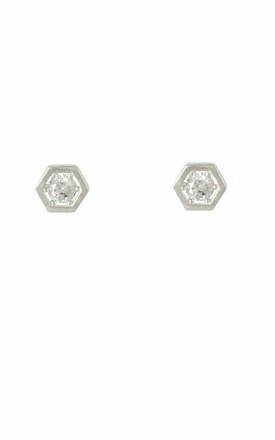 Sterling silver hexagon cubic stud earrings. Simple and elegant, the pretty earrings are perfect for just about anybody! The centre cubic zirconia stone gives it a little bit of sparkle. 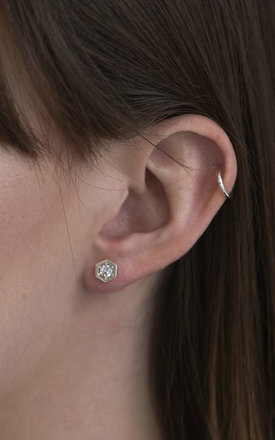 Whether you like something a little more busy, you can easily mix and match with your own earrings and multiple piercings. The perfect pair of earrings or a friend or loved one. Width of hexagon is approx 7mm.